The different types of motorcycles are grouped into competitive classes based on size and power output. The classes have changed over the years and will continue to do so in the future as the popularity of various models change and new technology leads to improvements. For instance, the 350cc class that was so popular in the 1970s and the Superstock class started in 2002 no longer exists. The following classes are currently run in local competitions… provided there are sufficient entries. For an explanation of the different types of motorcycle racing, see this page on Wikipedia. 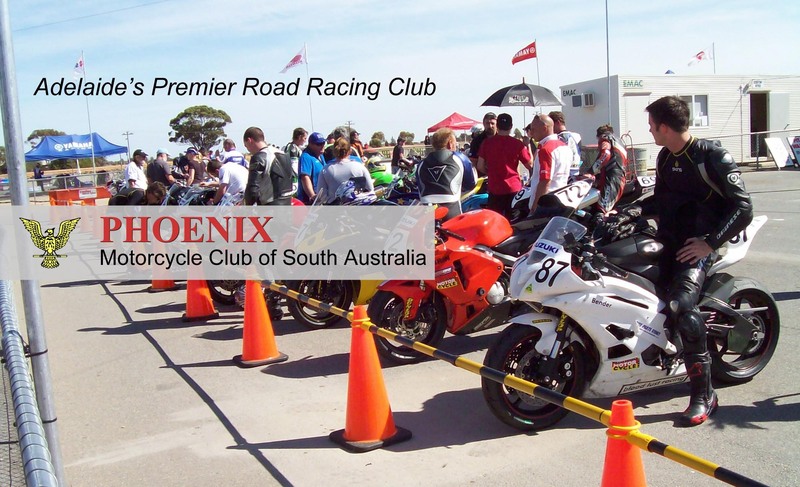 This is the entry level for Road Racing and you can ride any bike. See this page for more information. Limited 2 Stroke and 4 stroke 3 or 4 cylinder engines up to 400cc; 4 Stroke twins 4 valve up to 700cc and 2 valve up to 750cc; single cylinder engines up to 800cc. Naked Bike Unlimited capacity. Bike must be designed from factory as a “naked bike”. Sport bikes with fairings removed are not allowed. Pre Modern 2000 Motorcycles must be fitted with an original compliance plate indicating that the date of manufacture is before December 31st 1999 and all major components (motor, frame, wheels and brakes) as commonly available within that period. Pre Modern 2005 Motorcycles must be fitted with an original compliance plate indicating that the date of manufacture is before December 31st 2004 and all major components (motor, frame, wheels and brakes) as commonly available within that period.